The park entrance from University Boulevard, the lot and the ball field seen beyond, will close this month for improvement work. Photo by Mike Diegel. 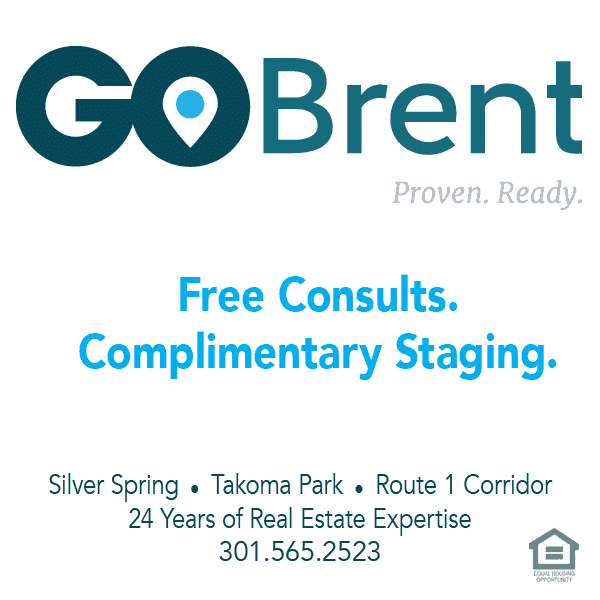 Improvements scheduled to begin this month will affect users’ access to two parks in the Four Corners area of Silver Spring, according to announcements from the county’s Parks Department. 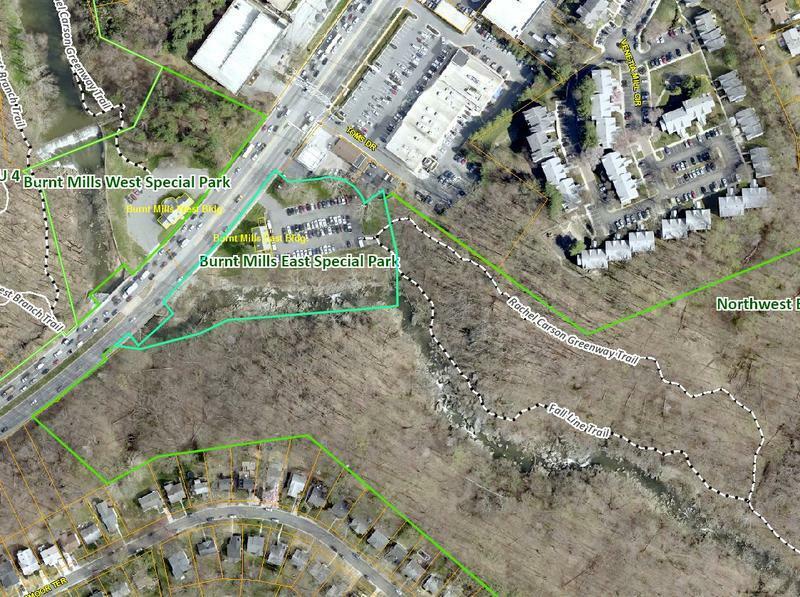 WSSC will be installing a new sewer line at the entrance to the Fall Line Trail along the Northwest Branch, which begins just south of Burnt Mills East Special Park on Colesville Road. A portion of that trail, which splits after it leaves the parking lot, will be closed. Users will be directed to follow a detour onto the Rachel Carson Trail, and then connect back to the Fall Line Trail (see map below). 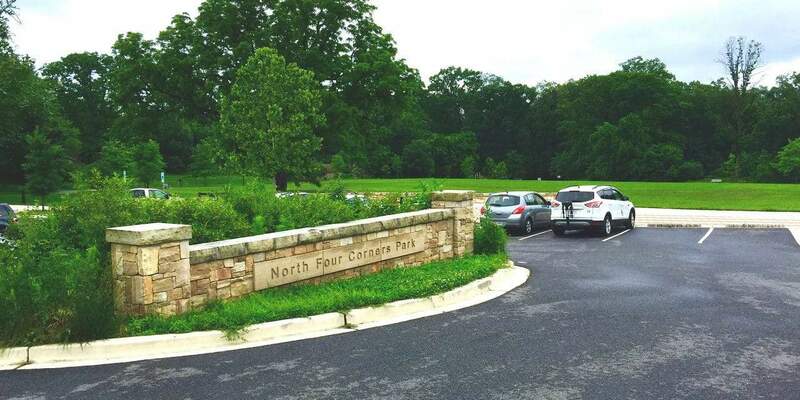 Also in June, the Parks Department will begin work to improve a parking lot and the ball field in North Four Corners Local Park. The parking lot and entrance off of University Boulevard will be closed for this work, as will the ball field. All other park amenities, including the paved walking path, will remain open. There will be limited parking available at the Southwood Avenue park entrance. Both projects are expected to take several weeks to complete, weather permitting. The Fall Line Trail from Burnt Mills East Special Park will be temporarily closed in June. Graphic from Montgomery County Parks Department.